Jack is considered a legitimate talent in the 2016 NFL Draft. 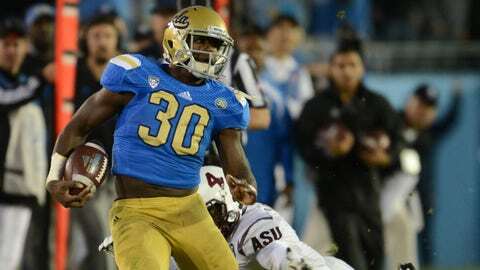 While UCLA head coach Jim Mora called Myles Jack's decision to enter the NFL Draft “risky”, others believe Jack will be just fine. The former Pac-12 Offensive and Defensive Freshman of the Year declared for the draft after being sidelined for the remainder of the 2015 season with injury. Mora speculated about the challenges of taking a “flyer” on selecting Myles Jack with a first-round pick because there's not enough game film. Bleacher Report's Matt Miller used an example of former Oregon offensive lineman Kyle Long, who started five games at tackle before receiving a first round selection by the Bears. Jack has played 29 games for UCLA. “He has everything you want out of a linebacker that NFL teams look for,” said CBS Sports analyst Dane Brugler.